Telephone conversation with Gurbanguly Berdimuhamedov. 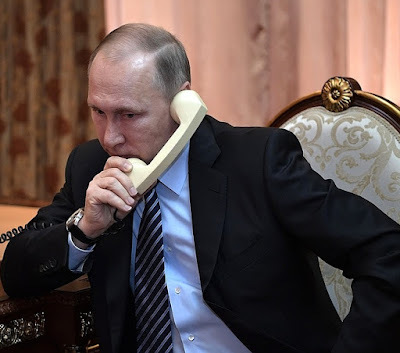 Putin.BLOG Foreign Policy Turkmenistan Telephone conversation with Gurbanguly Berdimuhamedov. Vladimir Putin during a conference call with President of Turkmenistan Gurbanguly Berdimuhamedov. The President of Russia said that he regretted being unable to visit Turkmenistan as part of his trip to Central Asia due to a tight schedule. Vladimir Putin assured Gurbanguly Berdimuhamedov of his intention to visit Turkmenistan in the near future at the President’s invitation. Presidential aides and the relevant agencies will be instructed to prepare the visit. 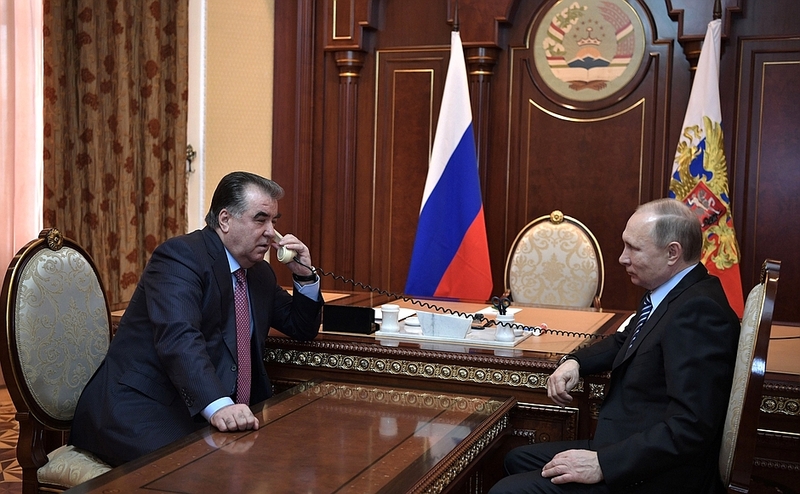 On the eve of the conference call, Vladimir Putin held talks with President of Tajikistan Emomali Rahmon in Dushanbe. President of Tajikistan Emomali Rahmon had a conference call with President of Turkmenistan Gurbanguly Berdimuhamedov. 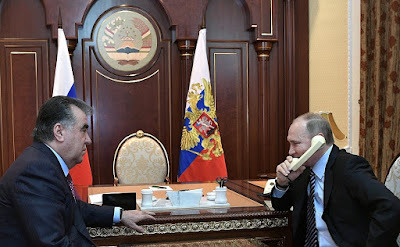 Vladimir Putin and President Emomali Rahmon during a conference call with President of Turkmenistan. 0 Comment to "Telephone conversation with Gurbanguly Berdimuhamedov."